Northwest Career College was founded by Dr. John Kenny 21 years ago as Northwest Massage School. Dr. Kenny graduated from Northwestern University with a degree in Biology and went on to become a physician after graduating from National College of Chiropractic. He opened two practices in Chicago, Illinois before moving to Las Vegas 28 years ago. Dr. Kenny’s dream was to open a school that would help people who did not have a set career path but knew they were interested in the health care field. As the need in the community for trained healthcare providers grew, Dr. Kenny expanded the number of program offerings to include Dental Assisting, Medical Assisting, Phlebotomy and Medical Billing and Coding and renamed the school Northwest Health Careers. Since then, Northwest has continued to grow and now offers Pharmacy Technician and Medical Administrative Assisting programs as well as the degree granting programs in Paralegal Studies and Criminal Justice. Northwest Career College offers a full range of educational possibilities in order to boost our students’ personal growth, improve career outlooks and expand awareness of their own personal possibilities. We want each of our students to be the best professionals they can be. 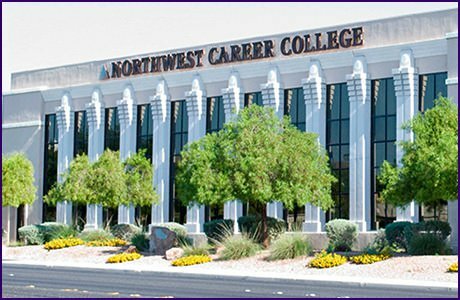 Northwest Career College is licensed by the State of Nevada Commission on Post Secondary Education. Northwest Career College is institutionally accredited by the Accrediting Bureau of Health Education Schools (ABHES). Northwest Career College is approved by the Department of Education for Title IV funding. Northwest Career College is approved by the Veteran’s administration for GI Benefits.